3 BR, 2 BA LAKE HAVEN! Large building lot with boat slip included! 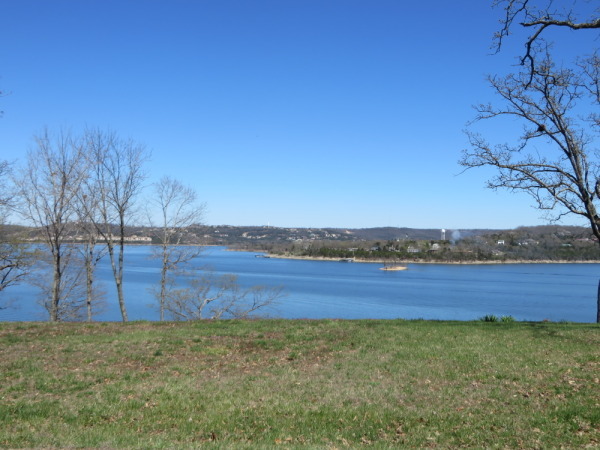 If you’re looking for ideally-located lake homes for sale, look to Table Rock Lake, in southwestern Missouri. 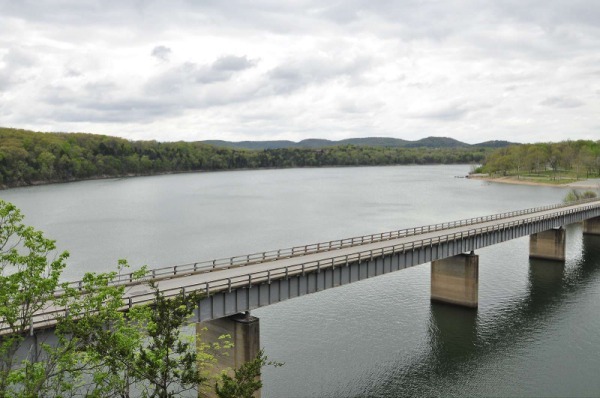 Constructed by the Army Corps of Engineers in 1958, Table Rock Dam and Table Rock Lake have been drawing attention and praise to the region for years. 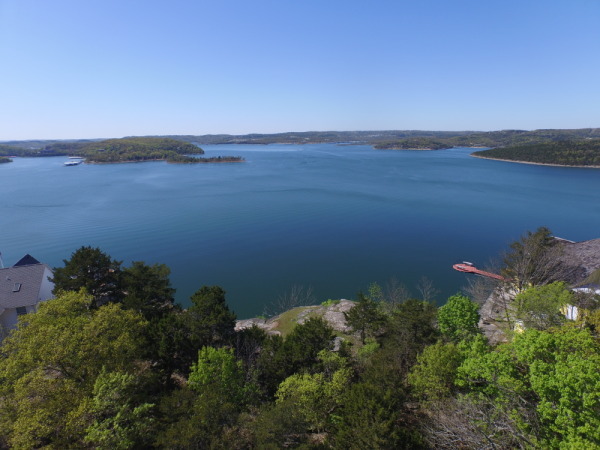 From premium fishing to competitive hunting to luxurious indulgence, Table Rock Lake really does offer something for everyone. Table Rock Lake is nestled in the foothills of the Ozark Mountains, which provide a spectacular backdrop for any adventure on the lake. Dry off from your morning cannonball and head to the links: you have eight pristine golf courses to choose from at Table Rock Lake. The Payne Stewart Golf Club, StoneBridge Resort, Ledgestone at StoneBridge, Murder Rock Golf Club, Top of The Rock, Thousand Hills Golf Course, Kings River Golf Course, and Kimberling City Golf Club are all within a pleasant drive from the lake. As its name suggests, the StoneBridge Resort is a full-service resort, promising that your transition from the shore to the green to complete relaxation is seamless. If living on any of these area golf courses interests you, visit GolfHomes.com for homes and lots for sale on Missouri golf courses. And why wouldn’t you explore the option of lake vacation rentals on Table Rock Lake when the unofficial entertainment capital of the South is just a short drive away? Branson, Missouri, is known for hosting award-winning shows, premium shopping, and world-class dining. Legends in Concert brings all your favorite tunes through the years back to life. The Branson Zipline steals your breath with unparalleled views of the Ozarks. The beautiful setting of Table Rock Lake combined with nearby attractions make this idyllic lake an unparalleled place to spend your time. 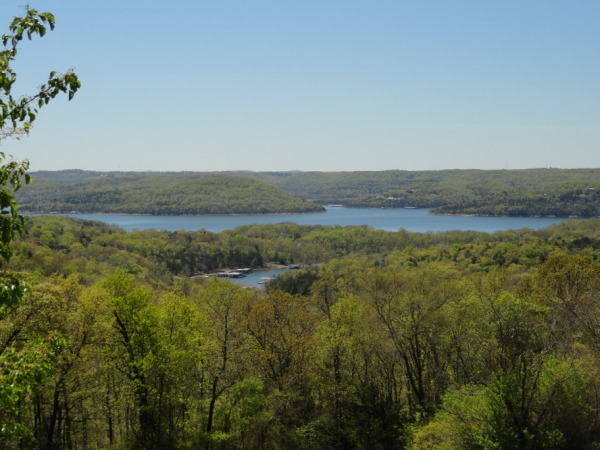 Buying or renting a lake house on Table Rock Lake puts you in the center of this family-friendly paradise. Table Rock Lake can be found between the scenic Ozark Mountains of Missouri and Arkansas, just west of Branson and south of Springfield Missouri, covering roughly 43,000 acres throughout the Ozark Mountains. The lake, being an impoundment of the White River, is mainly fed by water exiting Beaver Dam. The dam maintains an average elevations ranging from 947 to 896 feet above mean sea level. Table Rock Lake is surrounded by roughly 750 miles of shoreline, providing excellent boating opportunities. The clear waters of Table Rock have been described as being "smooth as glass" within the many coves, and the many underwater rock bluffs attract considerable numbers of skin divers to the lake. Anglers, in particular, appreciate the lake’s almost 800-mile shoreline of pristine waters. 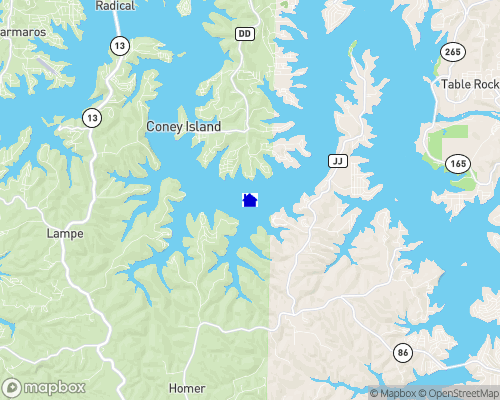 Bass fishing is very popular at Table Rock Lake, where hooks are baited to catch Kentucky spotted bass, largemouth bass, smallmouth bass, and white bass, in addition to crappie, catfish, and large bluegill. Make a point to head out on the lake in early spring, just before the spawning season, to find the Kentucky spotted bass and largemouth bass meandering about the many feeder creeks and around the base of cedar trees.